If you’re a Bitcoin slot fan who’s looking for new games to try out, Fortune Jack Bitcoin Casino will give you a chance to try some Booming Game slots and score yourself a BTC matching bonus of up to 500 mBTC. This is a one-time only promo aimed at new and existing players and it can only be claimed through a special bonus code. If you’re interested in finding out more details about the offer, check out the full breakdown below. The Booming Games promo offer will be valid from October 5th, 2017, to Thursday, October 12th. During this time, you will be able to claim a 100% matching deposit bonus with a maximum limit of 500 mBTC. To grab the offer, just log in your player account and head down to the “My Account” menu. From here, just select the “I Have a Bonus Code” page and enter the code “FJ1005” before making your deposit at the casino. The bonus is applicable to any Booming Games’ slot available at Fortune Jack. This gives you a choice between 30 different slot games to meet your wagering terms. The minimum qualifying amount you have to deposit to grab the offer is 0.01 BTC while the wagering requirements for this particular offer are set at 40x. Unlike Microgaming and NetEnt, Booming Games have only been active in the business for a couple of years, since 2014. 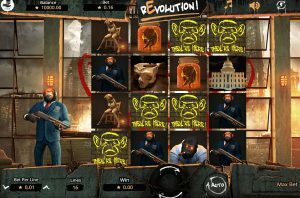 However, despite being relatively new to the scene the game studio has already earned its own fan base thanks to some creative slot ideas. So, if you’re looking for slots that are a bit different than the “norm”, Booming Games’ designs might be just what you are looking for. 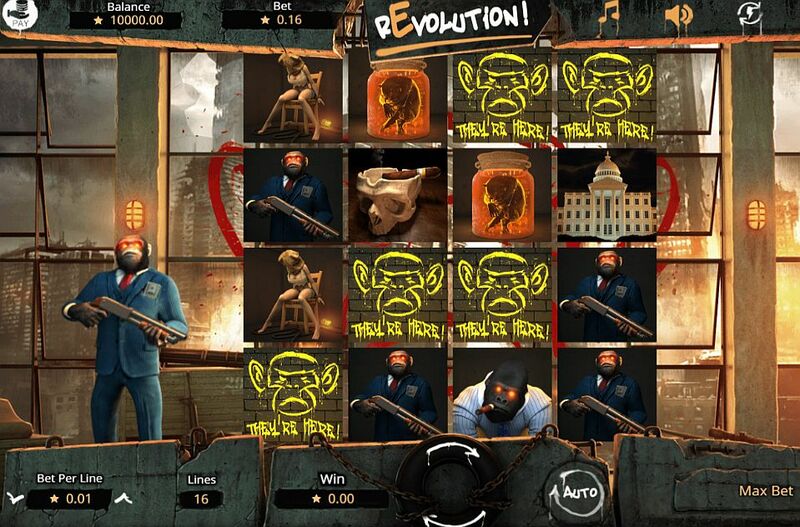 Take Revolution, for instance, a 4-reel, 16-payline slot where armed and tuxedo-wearing apes will scream with rage as you trigger winning combos on your reels. Or, if you’re into something calmer and more mysterious instead, there’s also the Freemasons Fortune, a Vegas-style 3-reels game that will surely speak to any conspiracy theorist out there. Need More Bonuses? Have Some! Apart from slot promos, Fortune Jack also has a number of other regular bonuses you can grab as new-joiner or a registered player. Starting with the welcome package, the casino lets you claim a matching bonus of 130% of up to 1 Bitcoin on your first deposit, which also comes with a bonus package of 250 free spins attached. And if you need more offers after this you can also grab 4 matching bonuses on your next deposits, each worth a 30% of your deposit up to 2 BTC. However, if you’re not a new player, the casino will only let you grab a monthly bonus offer of 1 BTC for your first monthly deposit, or give you the chance to enjoy the Mid-Week Dice Madness and try to score a progressive jackpot in a lowered number of rolls. And apart from dice games and slots, you can also find Live dealer tables and a whole range of table games from Microgaming, BetSoft, and more among the casino’s game collection. If you’re interested in finding out more about what games and promotions the casino has to offer, feel free to give Fortune Jack a visit.